Adidas adidas Yeezy Boost 350 V2 "Black/Red"
Kanye West and adidas' second generation 350 Boost makes its 2017 debut with the release of the adidas Yeezy Boost 350 V2 "Black/Red." Similar to the original "Pirate Black" colorway, the sneaker features a black Primeknit upper with a red SPLY 350 accent and a black Boost sole. Release date is Feb. 11, 2017 at a retail price of $220. 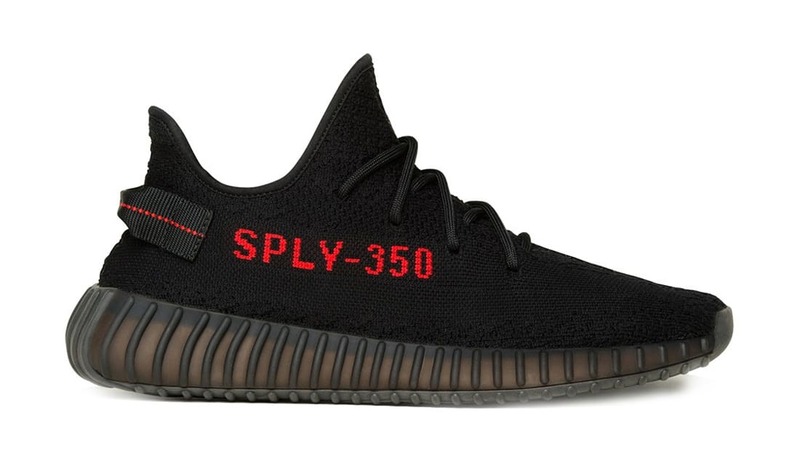 News adidas Yeezy Boost 350 V2 "Black/Red"